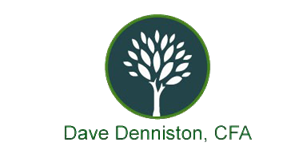 In my Introduction to Investing post, I talked a little about the different types of financial instruments you can invest in. Today I want to explore further what kind of returns you can reasonably expect from the most common investment vehicles. Keep in mind the focus is on "long term" which means your mileage may vary (YMMV) in any given year. And as they always say in the financial industry - "past performance is no guarantee of future results." 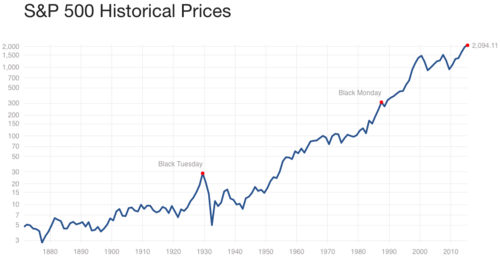 1928-2014: Geometric Average gain of 9.6%. If you had put in $100 in 1927, you'd have $289,995 in 2014. 1965-2014 (Last 50 years): Geometric average gain of 9.84%. 2005-2014 (Last 10 years): Geometric average gain of 7.60%, inclusive of the 2007-2010 recession. 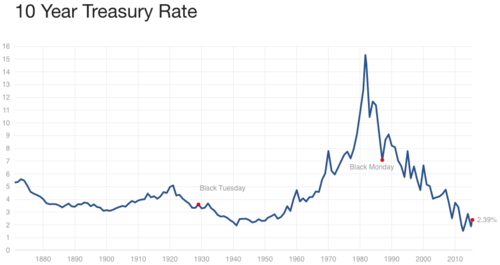 1928-2014: Geometric average gain of 5.00%. If you had put in $100 in 1927, you'd have $6,972 in 2014. 1965-2014 (Last 50 years): Geometric average gain of 6.70%. 2005-2014 (Last 10 years): Geometric average gain of 4.88%. 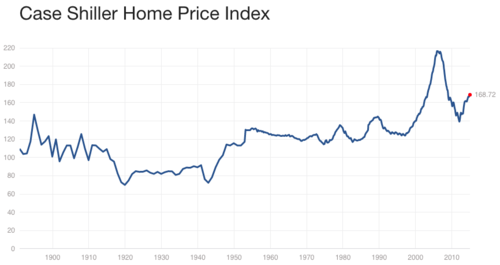 "Home prices have increased only 1.5-fold, or only 33 basis points [That's 0.33%!] a year. Essentially, home price capital gains overall have amounted to virtually nothing." Personally, I choose to put almost all of my investments in stocks - 92.3% of all managed assets to be exact - as I believe I have a long runway ahead and over the long term, stocks have the best performance. What about you? Where do you park your extra cash? Financial Samurai: Which Is A Better Investment: Real Estate Or Stocks? You can find out more out FutureProofMD* and follow his latest adventures at www.futureproofmd.com*. *This listed 3rd party firm/individual are not affiliated with or employees of United Planners Financial Services. United Planners does not supervise this firm/individual and take no responsibility to monitor the information/services they provide to you.